Some politicians seem to have nine lives. And just when you think Gerald’s are all used up, along come the Labour Party to give him one of theirs. 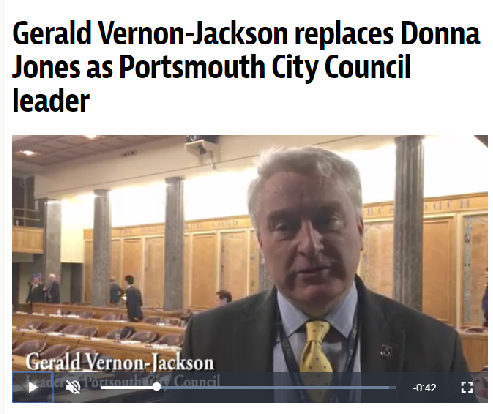 Will Portsmouth Labour regret this? Today there are already comments on social media calling them ‘enablers’ and the ‘enablers of an enabler’ – referring to GVJ’s alleged role in ‘enabling’ Mike Hancock to evade for far too long the justice he deserved for his appalling behaviour towards ‘Annie’, a vulnerable constituent. And indeed, this story is far from over – I hear from a source that two more members of the Portsmouth Liberal Party, one a former city councillor, have been spoken to fairly recently by the Police concerning their continued harassment of ‘Annie’ online, and their potentially breaching the High Court Order which preserves Hancock’s victim’s anonymity for life.